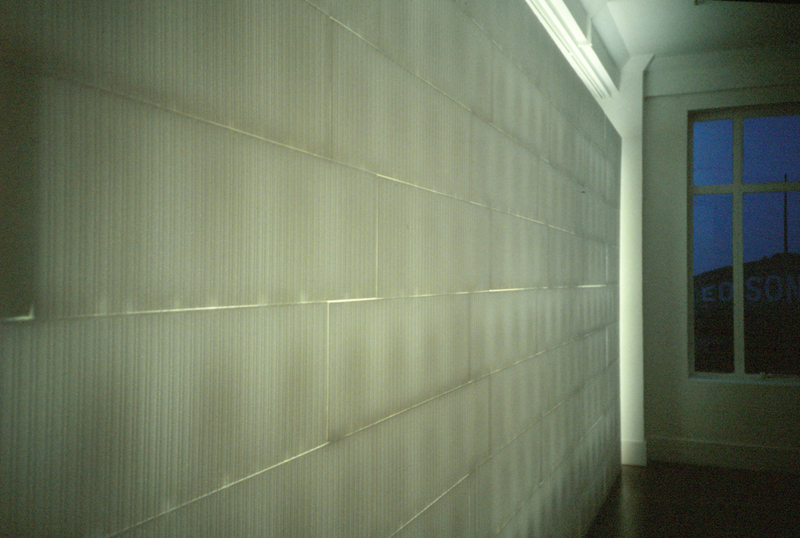 A ten-metre long, three-metre high pre-formed polystyrene block wall sectioning off one of the Gallery’s rooms. The blocks are produced in Christchurch and are normally used in the building industry. 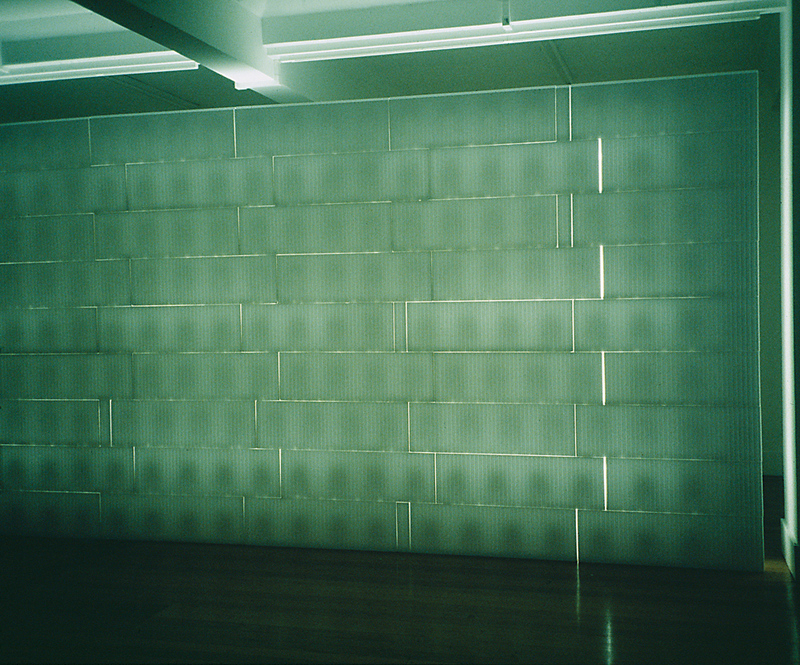 The wall is lit from within by a series of six-foot fluoro tubes, giving the wall a diffuse glow and revealing the internal bridging structure of the blocks. 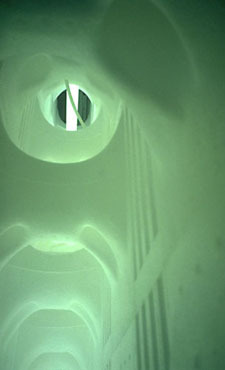 Speakers invisibly embedded in the rear surface emit a low hiss, an attenuated sound of falling water downloaded from the internet. 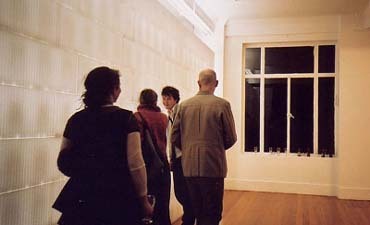 A small, head-sized gap between the work and the gallery’s walls allows viewers to peer inside the wall cavity, offering an uncomfortable view of the wall’s interior. There is no access to the other side of the wall.